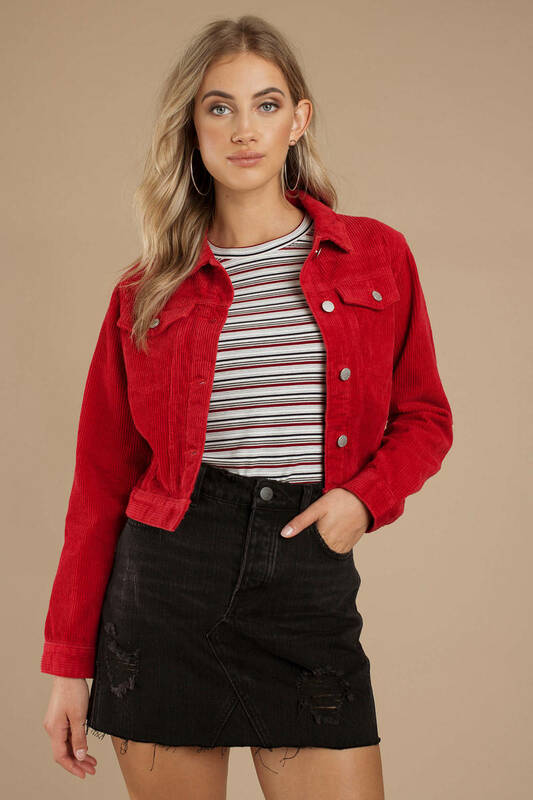 Check out Tobi's Runaway Cord Jacket This chic cropped jacket is dedicated to all our corduroy lovers out there. 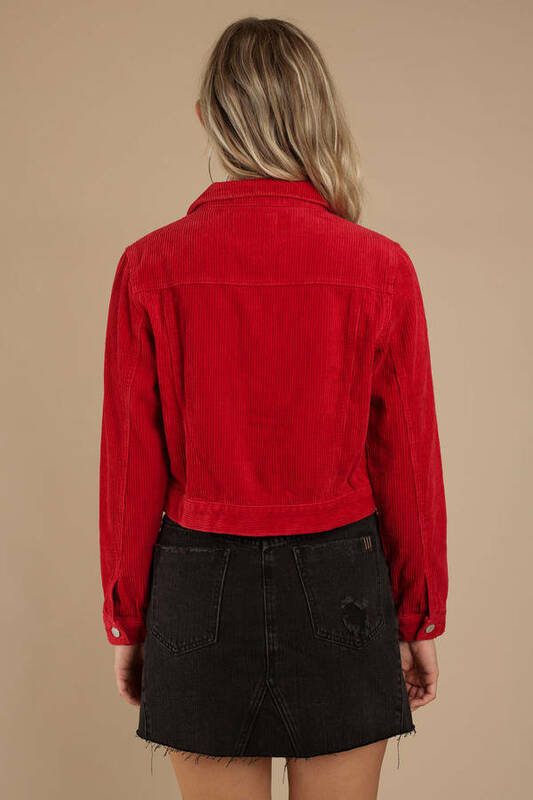 ROLLA's Runaway Red Cord Jacket will be your next go-to fall jacket. Reach for this collared jacket the next time you step out, featuring button up detail, long relaxed sleeves, and a comfortable fit. 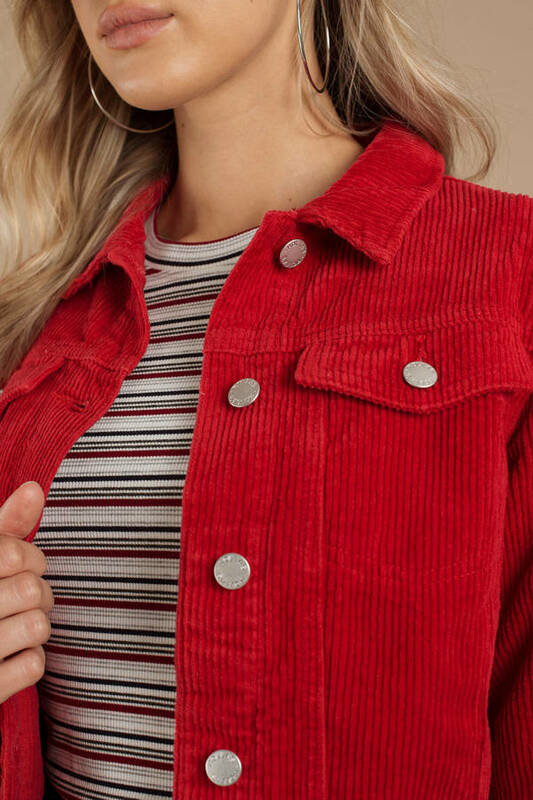 This chic cropped jacket is dedicated to all our corduroy lovers out there. ROLLA's Runaway Red Cord Jacket will be your next go-to fall jacket. Reach for this collared jacket the next time you step out, featuring button up detail, long relaxed sleeves, and a comfortable fit.